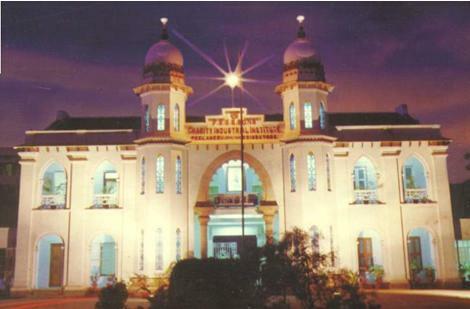 PSG College of Technology, Coimbatore was established in 1951 by the Managing Trustee Sri G.R. Govindarajulu and the founder Principal Dr. G.R. Damodaran, and comes under one of the many educational institutions fostered by PSG & Sons Charities Trust. The college is Government Aided, independent, ISO 9001 certified and affiliated to the Anna University. Equipped with latest facilities and brilliant infrastructures, the college offers a total of 48 full time and part time programs in Science, Engineering and Management at UG & PG levels. The college infrastructure has been acclaimed with equal enthusiasm by educationists, prospective employers, policy makers and alumni. Numerous advanced centers are set up in the campus adding to the already notable academic section, with economic support from the Human Resources Development Ministry, Department of Science and Technology (Govt. of India) and other agency. The college also has a LIBRARY, with a collection of 32 nos. of different magazines, 6000 nos. of textbooks of all departments and daily newspapers of 17 different kinds. The hostels of the college boasts of modernized kitchen on all 5 messes, fresh drinking water, solar water heater, excellent telephone services, un-interrupted power supply with a transformer, reverse osmosis plant ( Salt Water Purification ),  P S G Hospitals facilities for 24 hours with ambulance facilities and as recreation facilities, television and whole lot of indoor games. Then there is also a stationary shop, a saloon, beauty parlor, gym, play ground, weekly movie, snack bar, washing machine, dhobi point, tailor ( Gents & Ladies )all attached to the hostel premises. PSG College of Technology has all year round activities, cultivating opportunities for students to display their technical as well as cultural progress and skills. Cultural events are usually conducted by the clubs like Dramatix, Rotract club, CAP and Nature club, providing the students with excitement and fun, a take away from the tedium of continuous classes. The students can accordingly choose their own clubs with regard to their own interest. Anand Chandrasekaran, entrepreneur; Co-founder of Aeroprise Inc. and recipient of 2004 MIT Global Technovators award.